Sometimes a dessert literally changes your life. But I suppose moreso than desserts changing your life? BABIES. Sometimes a BABY changes your life. Mom, I'm not pregnant, breathe. But my friend Meredith was pregnant when we went to Backstreet Cafe together last week! And this week she's not pregnant anymore because she had a baby this week! And he's beautiful and perfect and I want to pinch his little cheeks for the rest of his days forever and ever amen. Ugh, did YOUR heart just do a backflip? Because my heart just did a backflip! So right before Meredith's life was changed forever by a baby, we decided to try out Backstreet Cafe's HRW menu where my life was changed forever by a piece of chocolate cake. Please don't feel sorry for me. Oh what's that up there? Just a regular ole' hunk of bread? HARDLY. Try to only have just one piece of this fresh, warm, fluffy, sinful sourdough bread. You cannot do it, I promise. This is a 5-slices-in-your-mouth minimum loaf, I assure you. Oh, and just TRY not to order something off of their summer tomato menu to start off with - like these crispy, decadent, fried green tomatoes - even though you're about to essentially have a 3- or 4-course meal. Nope can't do it, I promise you. Oh, and what's that, Backstreet Cafe HRW Menu? You have an entire section dedicated to a FOUR COURSE vegetarian meal? Sure, the meal would have been sufficient with just three courses, but then I wouldn't have been able to drown in the light, lemony, savory amuse orzo summer salad, the perfect starter for my palate. You just get me Backstreet Cafe. Um, hello, cornmeal crusted avocado, I think we just became best friends. You are so rich and indulgent, you could basically be a dessert. The creamed corn, the kick of poblano, and the slightly crunchy avocado make you a home run hitter! And YOU saffron brushed cauliflower steak?? You were coated and roasted so perfectly, my heart sang. The slow roasted mixed grains underneath tasted like fried rice with a fancy, sensational makeover. The two of you melted so perfectly into one another, I swear I lost consciousness for a moment. The only thing I'm sad to report on is I was not your biggest fan seasonal summer cobbler. All the right elements were there, but the balance was off, and you quickly turned into a berry mush. I really am not a dessert person, so this is saying a lot. If you go to Backstreet Cafe, and you can only order one thing because your very life depends on it, please promise me you'll get the dark chocolate cake. I'm going to go out on a limb here and say this is hands down the single best dessert I have ever had in my entire life. The cake was rich, soft, moist, and velvety. Combined with the cheese ice cream and marinated strawberries, it was an utterly sensual experience. I hadn't been to Backstreet Cafe since my friend Amanda was in town (Gah, was it really that long ago?! ), and I am so glad I came back to dine off of the Houston Restaurant Weeks menu with Meredith! The only (and I really mean only) thing that would have made the experience better is if it hadn't been 5,000 degrees outside and we had been able to sit out on Backstreet's magical patio. 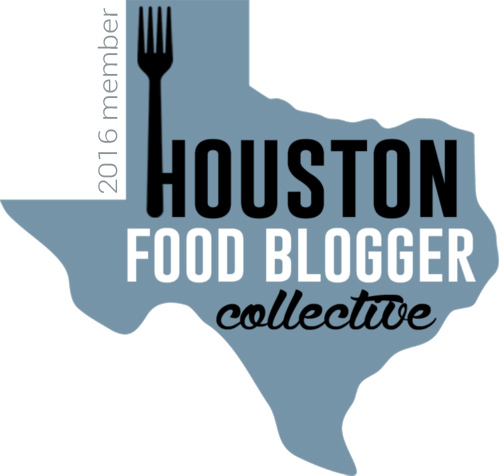 It's easily one of my favorite restaurants in Houston, so I encourage you to run not walk.